How Consistent Are You With Your Child? Home/Kids Martial Arts/How Consistent Are You With Your Child? • Do not sway in how you react to your child day to day, even if your child makes mistakes or has a temper tantrum. Instead, strive for a consistent approach in your parenting and especially in how you react to and resolve these types of situations. • Be Predictable. An inconsistent parent may yell at their child one day for a particular behavior, but the next day react with patience and use a similar situation as a teaching moment. This only creates confusion for your child’s expectations. • Don’t let your moods interfere. My mother was very inconsistent because of her moods. If I wanted to ask her a question, I knew not to ask when she was on the couch with a migraine, but when she was busy baking, I knew that it was a good time to ask. I had to assess her mood before approaching her because she was very inconsistent in her moods and her parenting. • Let your child know that they can rely on you. By being consistent, they will always know what to expect from you and that they can rely on you to help, teach, and motivate them. • Don’t be a Lawnmower Parent. This is the type of parent who cuts a path or “lawn” for their child by finishing everything for them such as finishing their child’s homework for them or resolving all their mistakes for them. In the end, their child never learns how to resolve their own issues or mistakes. While this is a “consistent” approach, it is not a healthy one. A better consistent approach is to let your child know that you will always strive to be connected, fair, attentive, patient and adaptable with them. When you think about consistency, ask yourself how you typically react in different situations with your child. Do you lose it when you’re in a bad mood, or do you keep your cool? 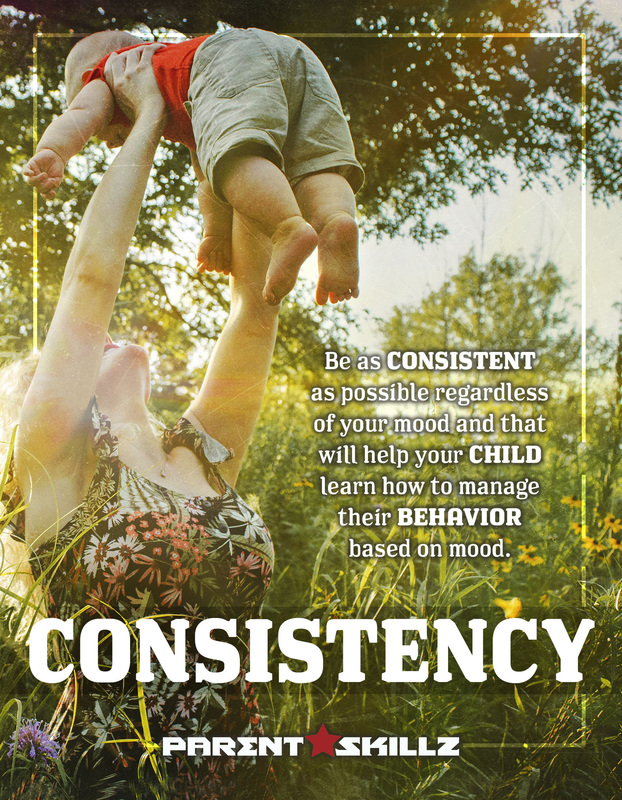 Be as consistent and reliable as possible with your child as you can, regardless of your mood, and they will learn to be consistent and reliable with you, too. We hope you find this blog informative!